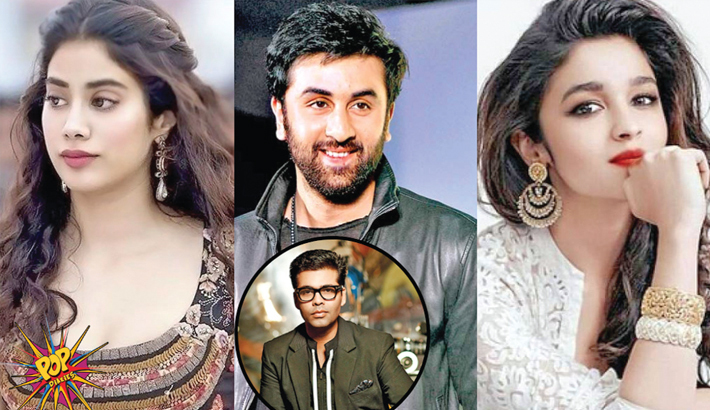 Bollywood filmmaker Karan Johar says if he ever makes Kuch Kuch Hota Hai 2, he would cast actors Ranbir Kapoor, Alia Bhatt and Janhvi Kapoor in it. His directorial debut Kuch Kuch Hota Hai (1998) had featured Shah Rukh Khan, Kajol and Rani Mukerji. While hosting radio show Calling Karan Season 2, one of the listeners asked him about the remake of Kuch Kuch Hota Hai and the actors he would choose for the movie. Alia was launched in Bollywood by Karan with his film Student of the Year in 2012. Janhvi made her acting debut with Dhadak, which again was backed by Karan. Ranbir, on the other hand, has worked with the filmmaker in films like Ae Dil Hai Mushkil and Yeh Jawaani Hai Deewani and has collaborated with K Jo for Brahmastra, an Ayan Mukerji directorial also featuring Alia and Amitabh Bachchan. In fact, Karan will be working with Janhvi Kapoor in his next directorial, Takht, which also stars Ranveer Singh, Vicky Kaushal and Kareena Kapoor Khan among others.